This formatting book includes many links and references for your convenience. As the internet is a fast-changing environment, please be aware that some links may change. Are you ready? Open up your Microsoft Word document, and let’s format a book! with intricate page design, you may wish to consider using a professional page layout program, such as Adobe® InDesign®. The use of Adobe InDesign is not covered in this book. 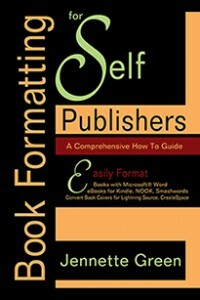 This entry was posted in Book Formatting, Format a Book, How to Self Publish a Book and tagged book formatting, format books, formatting books, publish a book, self publish a book, self publishers. Bookmark the permalink.